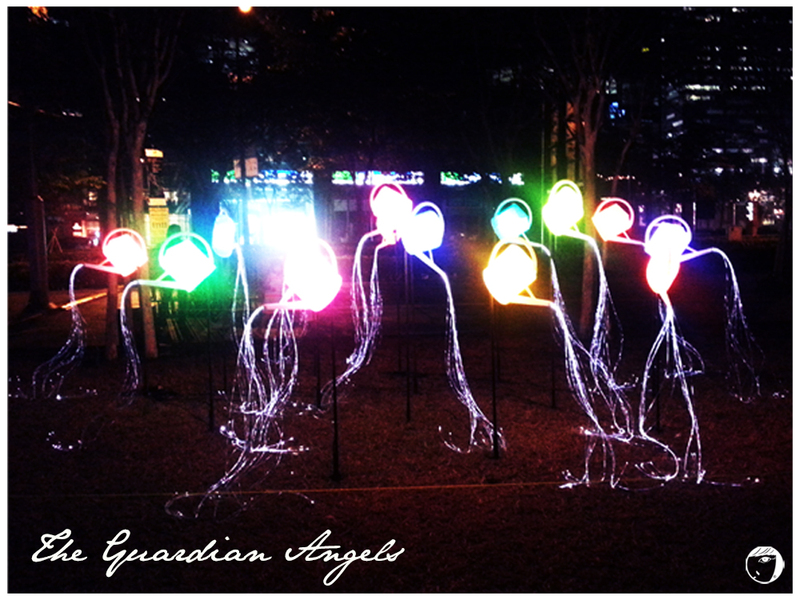 It is claimed Asia’s only sustainable light art festival. The festival is held in Singapore, at the Marina Bay waterfront. 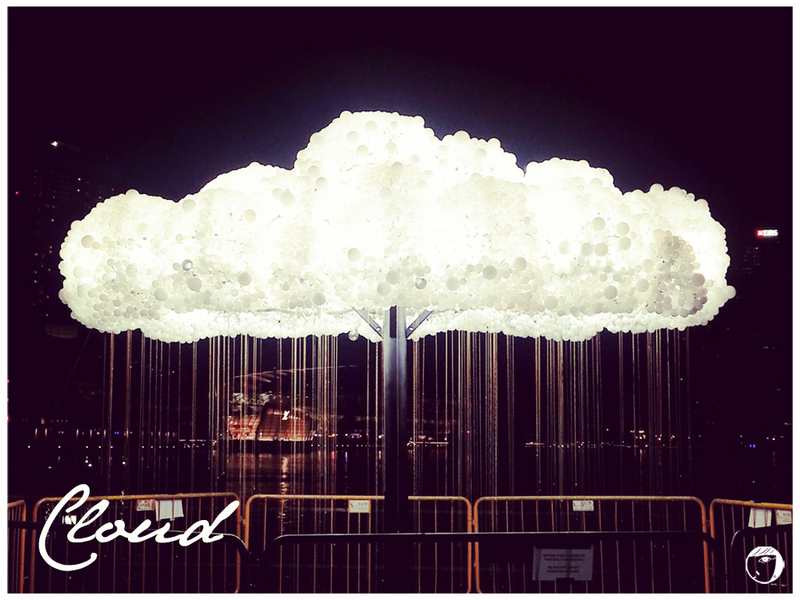 The i Light Marina Bay 2014 festival features innovative and environmentally sustainable art installations, each designed by artists from local and worldwide. 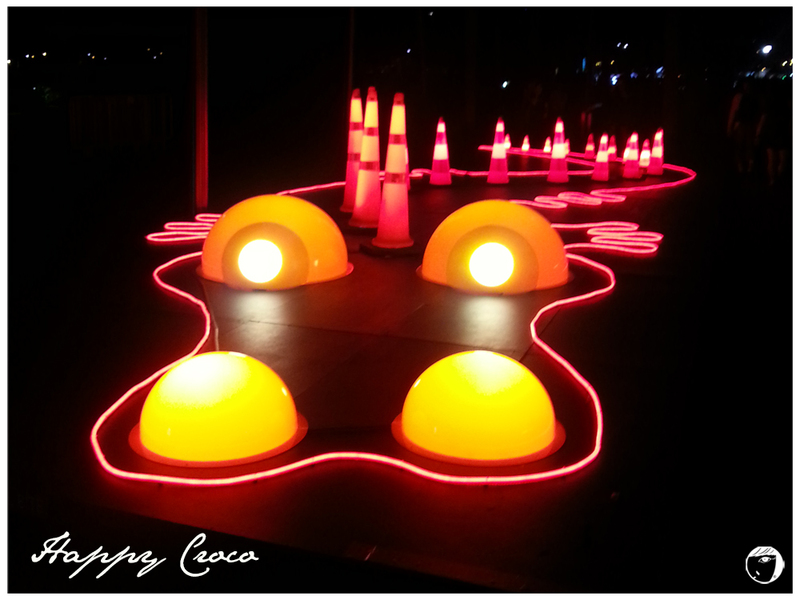 This year, the installations themed “Light+HeART”, conveying the message of sustainability in an engaging way through delightful forms and designs. This year, the festival starts from 7th-30th March 2014. The lighting time starts at 7:30PM and ends at 11:00pm and the admission is free. 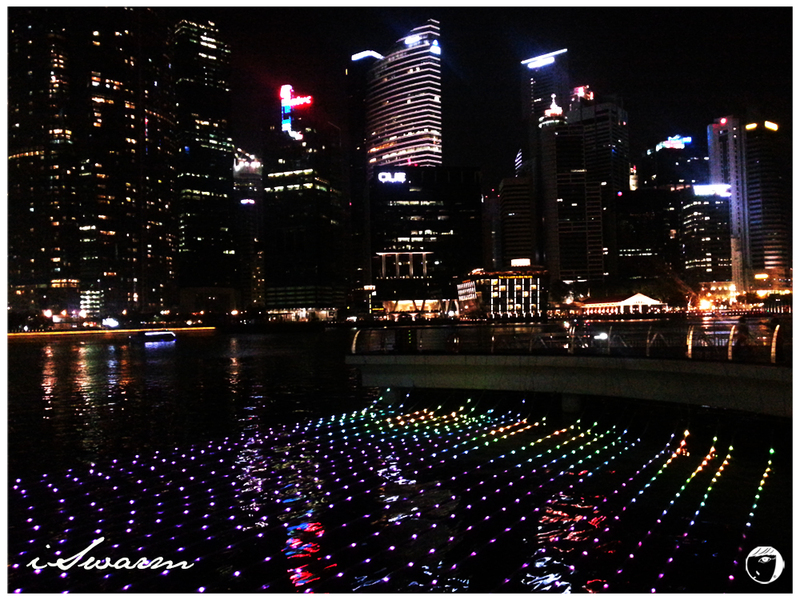 Singaporeans and locals come here to celebrate and enjoy the uniquely designed light installations. The route starts from the Esplanade Theatres on the Bay, the Marina Bay Sands and ends at the Marina Boulevard. 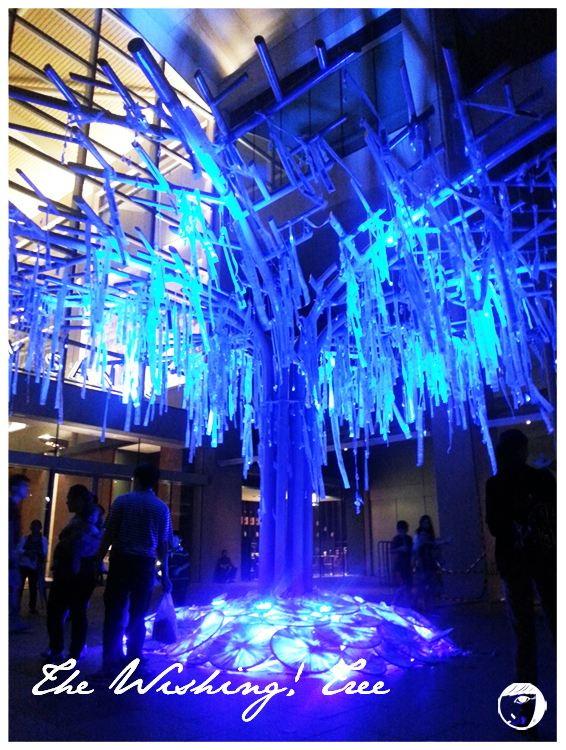 In designing the light installations, the participating artists incorporate the use of recyclable materials. It is to promote an environmentally-responsible behaviour. Each installations use an energy-efficient lighting too. Visitors can also enjoy other activities and events such as performances using lighted materials, flea market, and outdoor dining experience. Guided tours are also available on weekends for free. The best walking routes for those who are not joining the guided tour, start from Esplanade Theatres on the Bay towards the Marina Boulevard or vice-versa. The installations are divided into 2 sections, section A: starts from Marina Bay Sands and ends at Marina Boulevard; or section B: starts from Marina Bay Sands and ends at Esplanade Theatres. 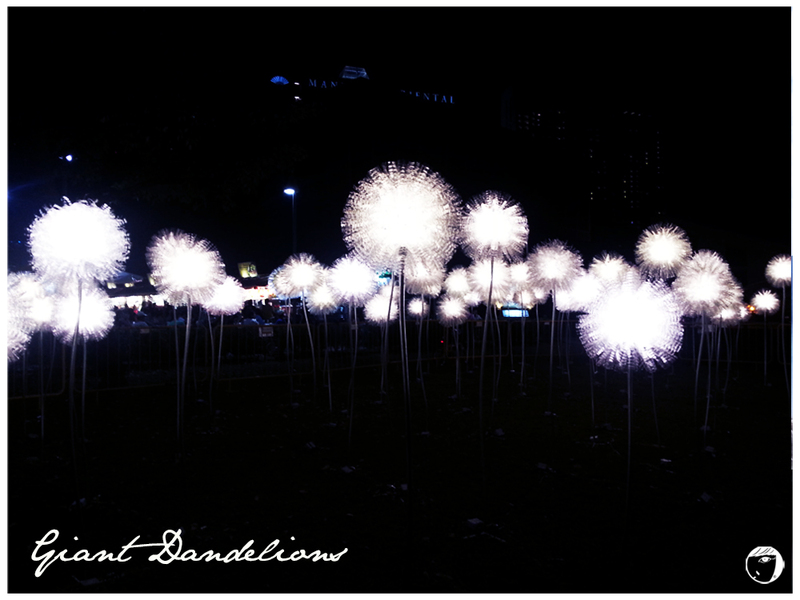 My favourites from all are the Giant Dandelions and the Cloud, each designed by a French-Filipino artist ‘Olivia d’Aboville’ and Canadian artists ‘Caitlind r.c Brown and Wayne Garret’. Both send out the meaning of inspiration, magic, beauty and hope. Visitors can also interact and play around with the installations, such as at ‘The Pool’. 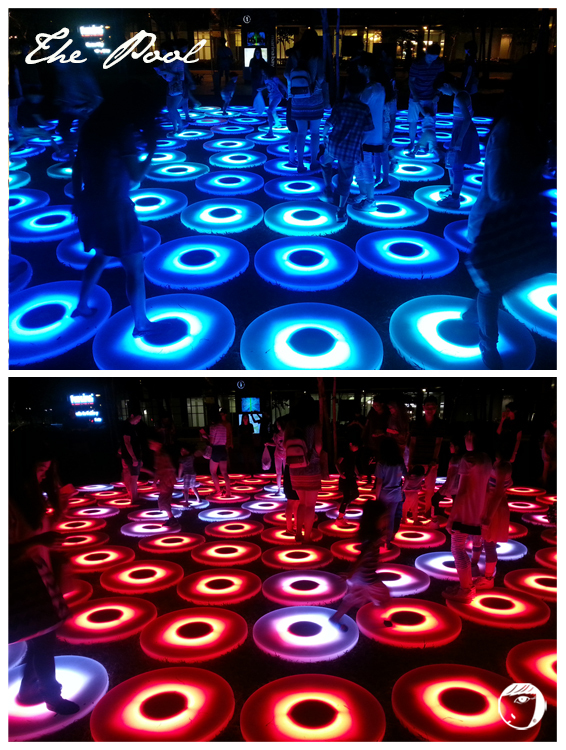 The installation allows the visitors to play and move around to create swirling effects of light and colour on a group of giant, concentric circles created from interactive circular pads. This circular pads change colours as one hops on them. 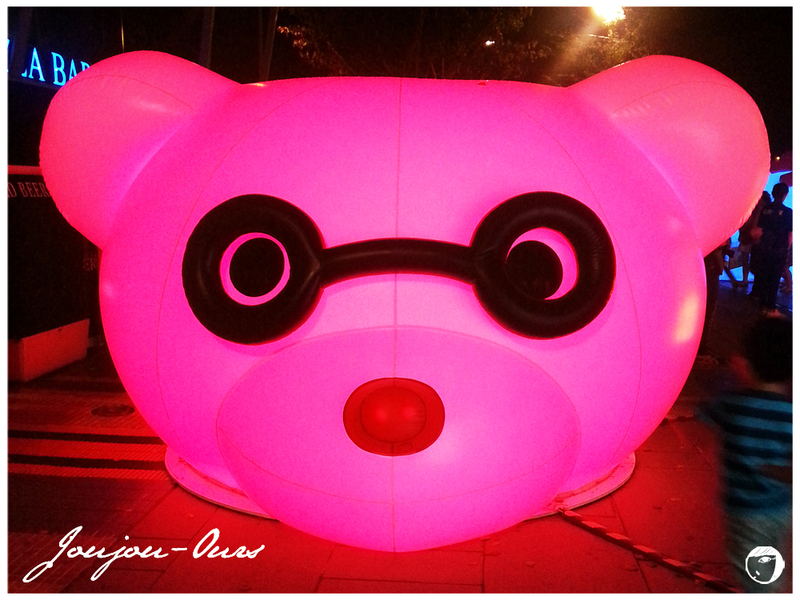 The whole festival is a fun, quirky, and creative event in which everyone can enjoy. 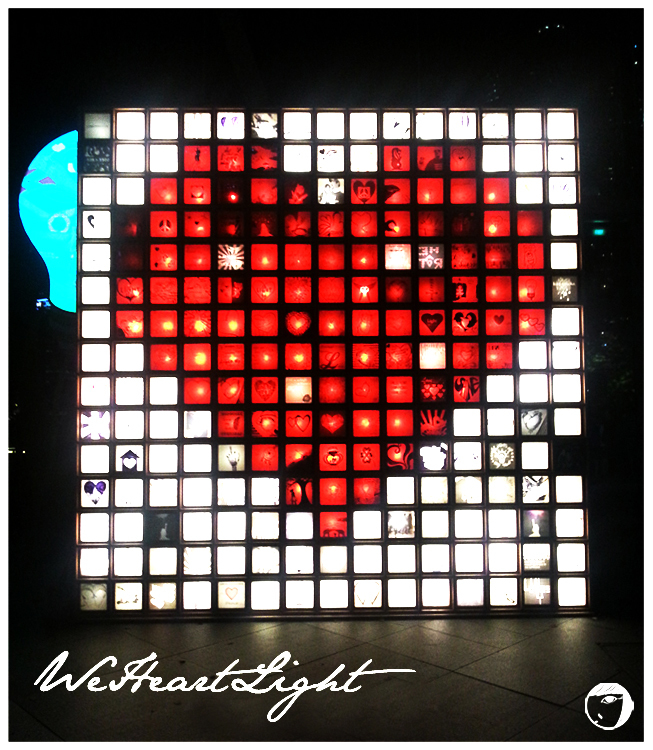 I’m sure, this year i Light Festival will follow the previous years success. From Esplanade : Take MRT to Esplanade Station (Circle line, line yellow) and start walking from Esplanade, Marina Bay Sands until Marina Boulevard. From Downtown Line : Take MRT to Downtown Line (Downtown line, line dark blue) and start walking towards the Marina Bay Sands, ends at Esplanade. From Marina Bay Sands: Take MRT to Bayfront (Circle line, line yellow), you can choose either to walk along route A or B, each ends at Downtown Line MRT or Esplanade MRT. Fika? A person’s name? Nope, in Swedish ‘Fika‘ means ‘having coffee break’. Locating at one corner of Haji Lane, Fika makes a good option as a place to hang out. It is a halal swedish café, owned by a Muslim who married a Swedish. 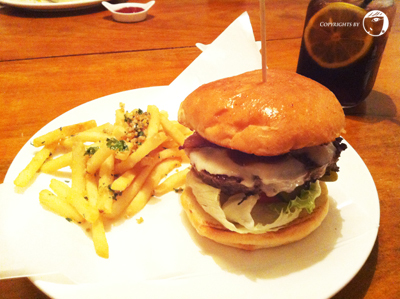 Since the cafe has been around, I’ve heard a lot of good review about the bistro and finally I had my chance to try it. 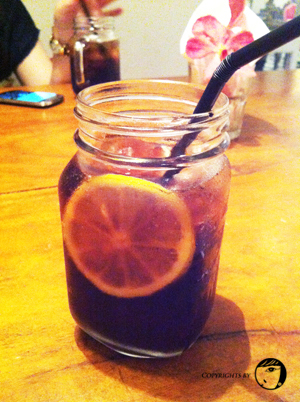 Our initial plan was to have dinner at I Am Cafe, another cafe at Haji Lane. But, there was a queue and we were starving. So Fika popped in mind and we went all the way there. While looking cute from the outside, the interior is classic and neat, giving the diners a cozy feel to it. The first level of the cafe was full house so we sat on the second level. Dining at a Swedish Cafe, of course Swedish Homemade Meatballs is a must to order. Since Swedish food is still a rare find in Singapore and my first and only exposure to Swedish food was IKEA legendary meatball so I’ll make my comparison with theirs. Fika‘s meatballs served with homemade creamy sauce, baked parsley potatoes, greens and lingonberry jam. In my opinion, they tastes better. 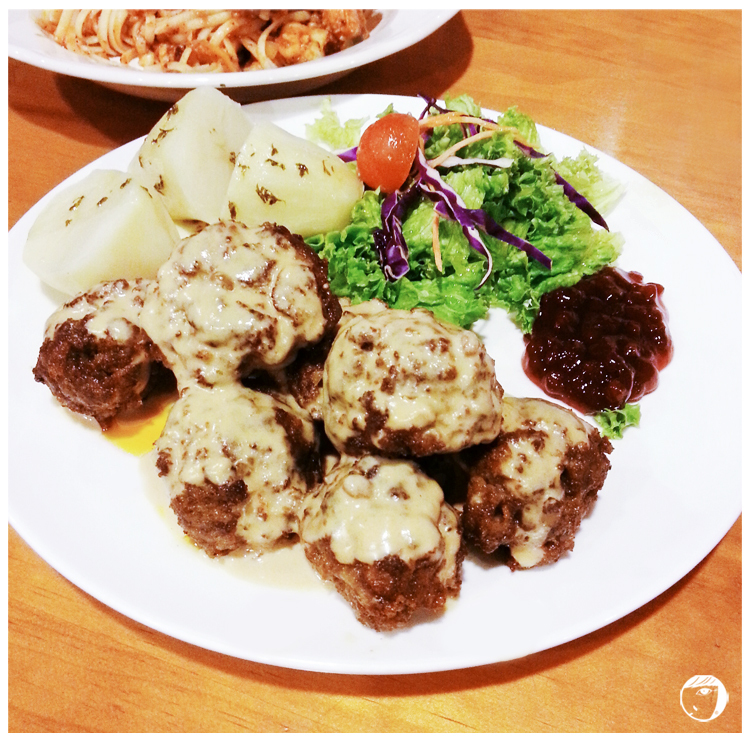 Not only Fika‘s meatballs are bigger and crunchier, the more flavourful taste suits my preference more. The second menu that we decided to try was not Swedish; Seafood Pasta. You can choose your pasta to go with cream sauce, tomato base or aglio style. We opted for tomato based pasta. 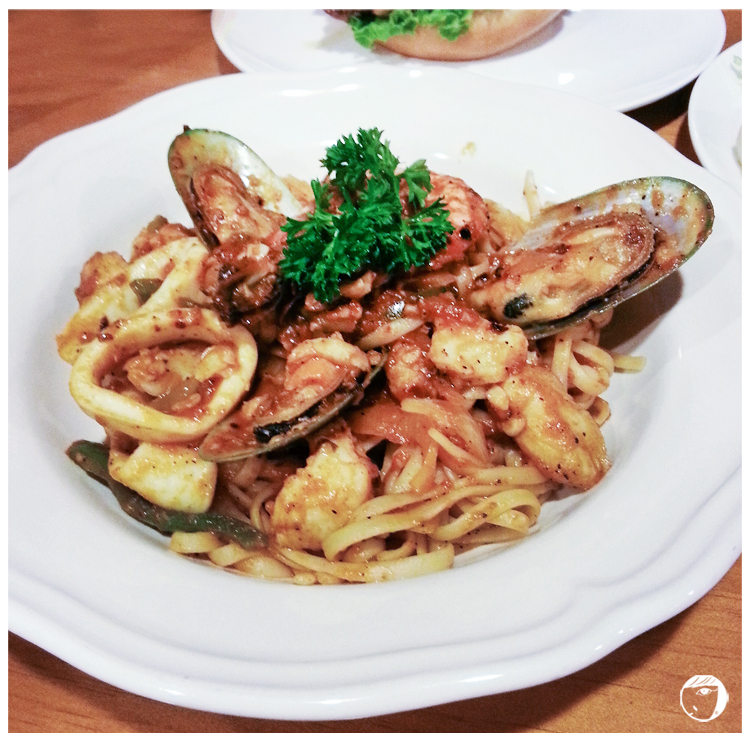 Their seafood pasta comes with dory fish, mussels, squid and tiger prawn. It tastes alright and I wish they put more fish in the future. In their menu, they have Openface sandwiches. And we ordered Grilled Chicken Openface. What is an ‘openface‘ sandwich by the way? It’s a single slice of bread topped with food items. The grilled chicken is served on a slice of tekaka bread (Swedish word for teacake; a sweetened wheat soda bread) topped with sesame mayo, sautéed onions and tomatoes. I’m not really a fan of grilled chicken sandwich/burger. 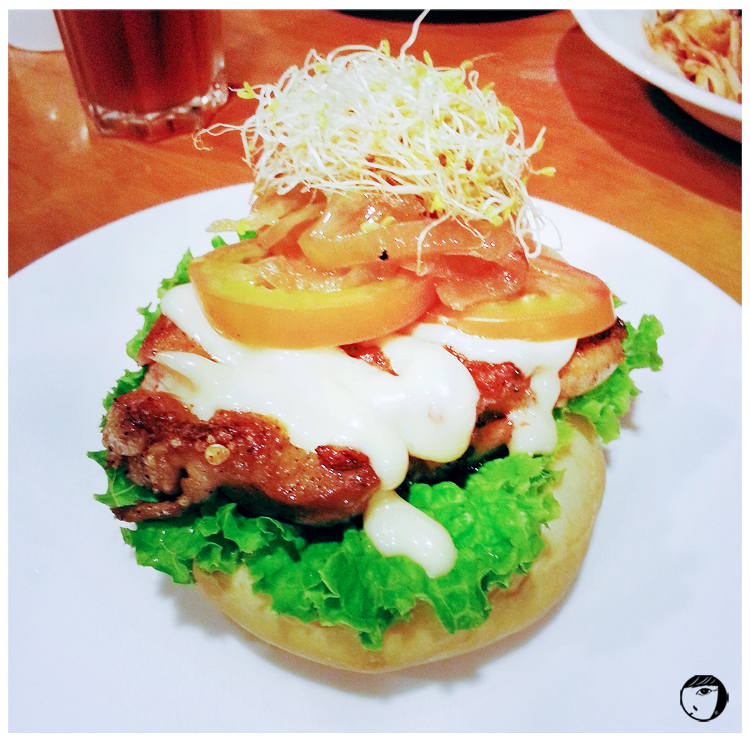 But, Fika‘s made me change my mind about grilled chicken sandwich/burger. It tastes so good. 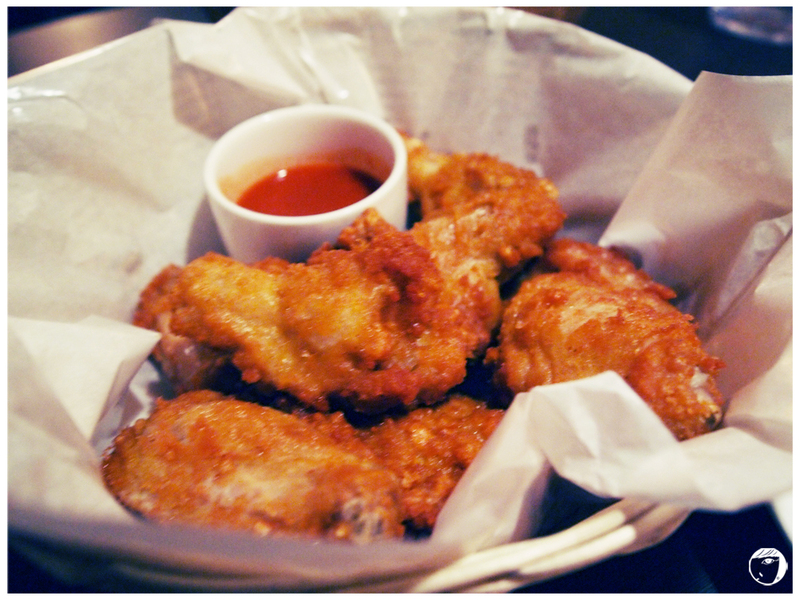 The chicken meat cooked in the perfect tenderness. The sesame mayo goes well with the chicken meat and the bread. Sweet and tender…. The food was good and there always be some space for desserts. Once we finished our main, we shifted to the first level. Second level seating area is closed at 9.30PM, but the first level is at 11PM. 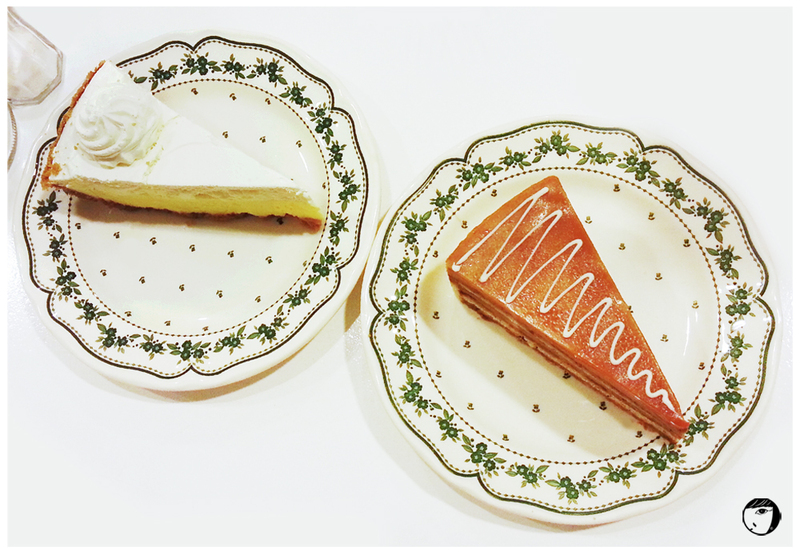 as for the dessert, we went for the cakes: Hazelnut Praline and Key Lime Pie. The hazelnut praline tastes alright. But I loveee their Key Lime Pie… With a hint of lime, It’s so refreshing and not too sour. Definitely, it’s worth giving it a try! 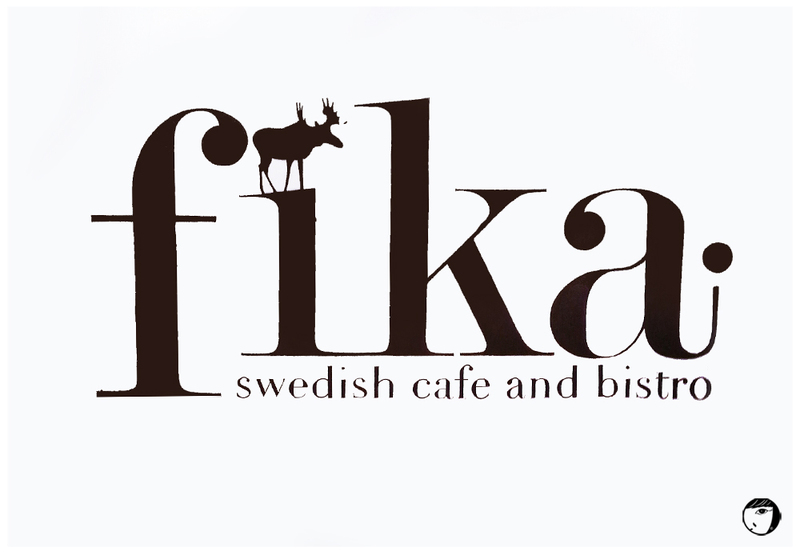 My dining experience at Fika was excellent. I will definitely come back again to try other Swedish menu, hmm…. 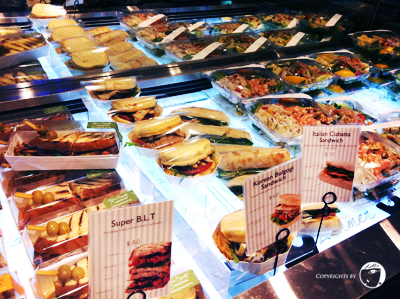 maybe I should try their second outlet at Millennia Walk? Another dining place to try : MU Parlour. This restaurant was recommended by one of my friends. I have never heard the place before, I think because it is relatively new. It is located at Lorong Mambong, Holland Village. The restaurant is located at the 2nd level of the shophouse, opposite of Haagen Dazs ice cream, on top of Thai Express restaurant. The interior was red mixed with white, very pretty, suitable for tea-time dining. They serve only burgers for main. I guess people come here mostly for cakes and drinks. The place is very cozy and suitable for relaxing. Four of us had burgers for our dinner. Three of my friends ordered ‘Number 11 : Avocado, streaky bacon, MU secret sauce‘ burger and I had ‘No.1 Monterey Jack, Streaky bacon, gherkin‘ burger since I don’t like avocado. As for the drinks, coke is the best match with the burgers. We don’t have to wait too long for our meals to be served. 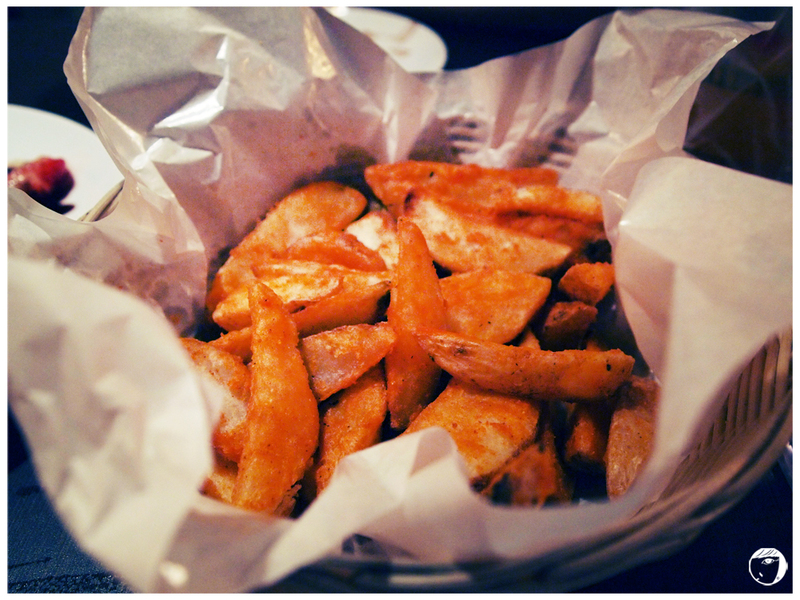 The burgers come with garlic fries with a thick patty and soft buns. The serving was enough for one. But I did not finish the buns to keep some space for the desserts. Their cakes look good and appetizing. We tried 3 of their cakes: Lemon Meringue tart, Double Chocolate Mousse Brownie, and Mango Creameux with Berries. 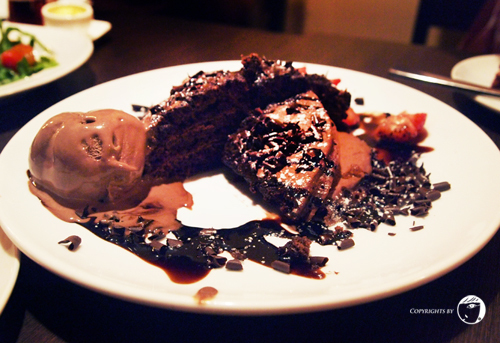 If you are a chocolate fan, try their Double Chocolate Mousse brownie. The soft chocolate mousse is not so sweet, with a hint of dark chocolate. Their Lemon Meringue tart suits those who favor not too sweet but with a little bit sour lemon. 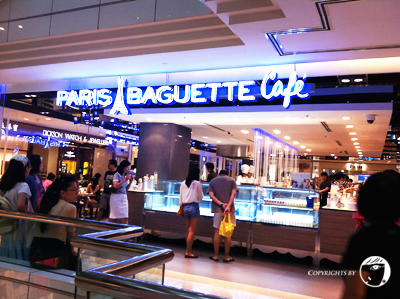 Paris Baguette opens its outlet to Singapore! It is a top brand Korean bread and confectionery chain originated in South-Korea. 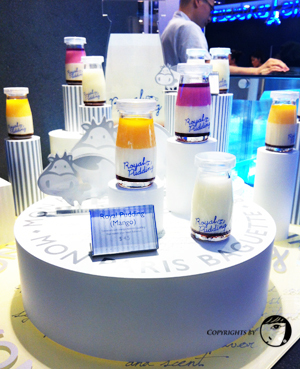 Their outlets are not only in Seoul, but the brand has expand to China and USA. When I went for my Korea trip, Paris Baguette are everywhere in Seoul. Not only that the brand is commercialized by top Korean actors/singers. In the first week after the shop opened their outlet at Wisma Atria at Orchard, level 2, my friends and I tried their cakes. Expected, people were q-ing too since Singaporeans like to try new things. But the management are smart enough to separate their cashiers. They have the Q for those who want to dine in and those who only want to take-away bread. Since we were there to sit down and try their cakes, we save time Q-ing. I recommend their Royal Pudding. It tastes like Creme Brulee. If you have sweet-tooth, go and try for this one. The packaging is so cute, it was packaged in a small bottle with a long spoon. There are 3 flavors, but I tried their original one. When it was the time for us to make a move, different batches of cakes came out! But we were too full, so could not try their other cakes. Maybe next time. 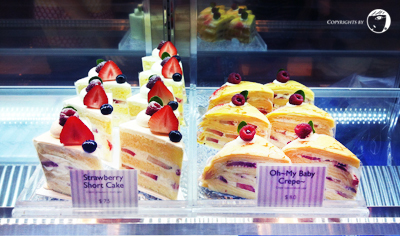 The design of their cakes are very pretty that will tempt you to try. Okay, this maybe sounds stupid because only I would get excited seeing this piece of paper… My friend who checked through the bill receipt, showed me the name of the owner. It’s CHOI S.W! What comes in my mind is Choi Si Won of Super Junior! Pardon me with my craze of the Suju. But I could not help of my imagination went wild lol!! Maybe he is the owner of the branch?! It is a good place to sit down during your tea time. They serve heavy meals too, not only cakes and pastries. Even they have Korean-traditional shaved ice (Patbingsu) too. Maybe I will try their shaved ice next time. 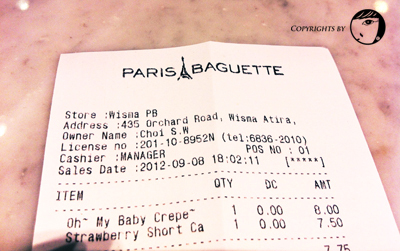 I will surely return to Paris Baguette again. Where to eat pancake in Singapore? I would say Strictly Pancake. As the cafe is situated near The Cathay and Dhoby Ghaut; surrounded by arts school like NAFA, Lasalle and SOTA, the place is popular among the youngster and students, so there will always be Q. Waited quite a while, lesser than 20 minutes, we finally went in. They have both indoor and outdoor seats. Since it is a shophouse cafe, they have limited space and the seats are quite close to each other. I would say to sit on the 2nd storey is better. 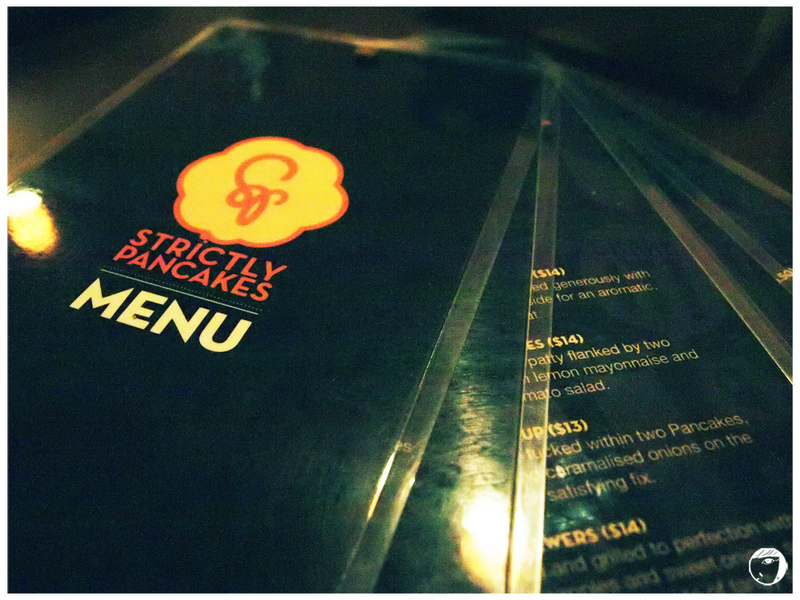 We ordered their popular savoury pancake: Garlic Buttered Prawn Pancake. 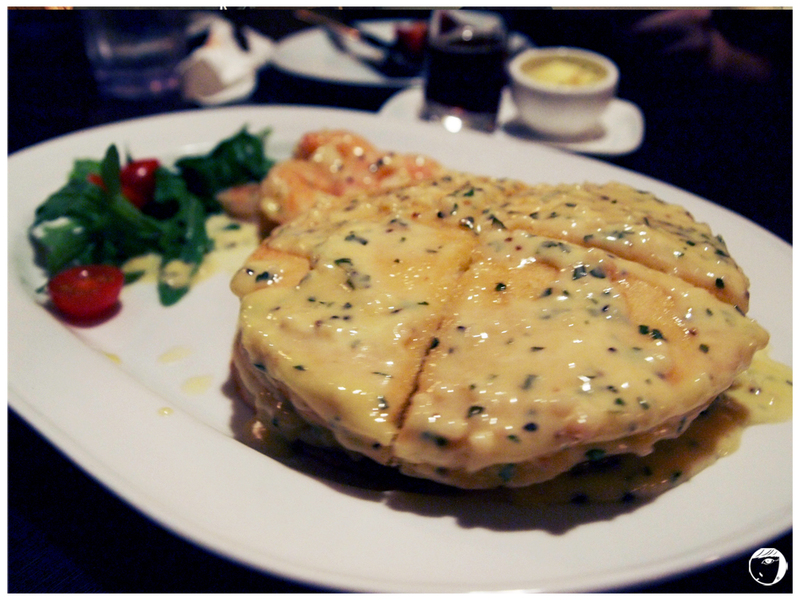 It came with 3 layers of pancake, served with prawns in garlic buttered sauce. So yummy!! For their sweet pancake,if you are a chocolate person, like me, you will love The Druggie; chocolate pancake served with chocolate ice cream, strawberries and chocolate flakes topped with chocolate sauce. Take MRT to Dhoby Ghaut station and walk towards The Cathay building, walk pass SOTA (School of The Arts) and cross the traffic light in front of Hotel Rendevous. Strictly Pancakes is at the shophouses next to the hotel, opposite POMO building. It is the 2nd shops.